Nose: A floral bouquet that grows and develops. Palate: It develops into spicy aromas on the palate producing a very rich feel. Its aromatic harmony is the sign of a fully-fledged cognac. Maison Trijol’s fine Cognac is a superior blend of mostly Ugni Blanc grapes, and supreme savoir-faire. 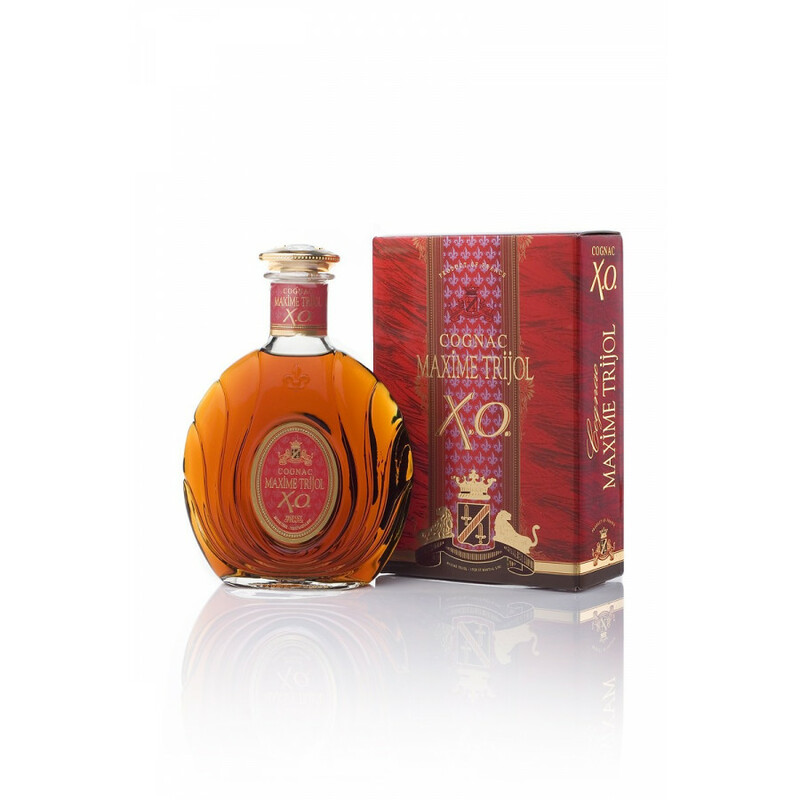 The Maxime Trijol XO Cognac has been aged for at least 10 years in Limousin barrels on the Trijol 30 hectare estate. It is a blend of eaux-de-vie of varying ages, and they often age their Cognacs much longer than the minimum required for a typical XO. To this day, the family continues to oversee each step and it’s thanks to this intimate relationship between maker and métier that the house delivers an XO Cognac imbued with fine floral notes. To create the Trijol XO Cognac, Ugni Blanc grapes are crushed and pressed between September and October, and juices fermented without sulfur dioxide. The wine is then kept upon the lees, and according to AOC Cognac rules, from March 31st onwards the wine process is transformed into Cognac over double distillation. The Charente method is preferred, which consists of double heating in the traditional pot still. It is then matured in Limousin French oak barrels. The Maxime Trijol XO Cognac is to be enjoyed neat at 20 to 25°C (70° to 80°F). Bottled at 40% ABV, it arrives in a voluptuous tear-drop shaped decanter with a golden stopper.